Humanities, Social Sciences, Mathematics. Our subscription includes: Arts & Sciences Collections I, II, III, V, VI, VII and VIII and the Irish Collection. ציטוטים, תקצירים ומאמרים נבחרים בטקסט מלא בתחום הסוציולוגיה. Citation, Abstract Selected full-text in sociology. TOXNET is a group of databases covering chemicals and drugs, diseases and the environment, environmental health, occupational safety and health, poisoning, risk assessment and regulations, and toxicology. It is managed by the Toxicology and Environmental Health Information Program (TEHIP) in the Division of Specialized Information Services (SIS) of the National Library of Medicine (NLM). A mobile version of TOXNET is available. TOXNET provides links to PubMed®, NLM's free web interface to the world's biomedical literature, and to additional sources of toxicological information. מאגר הממפתח אלפי מחקרים מדעיים מ- Medline , Agricola ו-CAB Abstracts, המביאים ראיות לכך שבעלי חיים משמשים כמתריעים על סיכונים בריאותיים וסביבתיים לבני האדם. Selects, curates, and indexes 1000s of scientific studies from Medline , CAB Abstracts, and Agricola for review of the evidence of animals as 'early warning' sentinels of human health hazards. Comprehensive catalog of surveys, censuses, vital statistics, and other health-related data. It’s the place to start your health data search. HCUPnet is an on-line query system that gives you instant access to the largest set of all-payer health care databases that are publicly available. Using HCUPnet's easy step-by-step query system, you can generate tables and graphs on national and regional statistics and trends for community hospitals in the U.S. In addition, community hospital data are available for those States that have agreed to participate in HCUPnet. UNICEF measures the situation of children and women and tracks progress through data collection and analysis. It maintains and updates global databases and promotes dissemination of evidence-based data for planning and advocacy. UNICEF is the lead United Nations agency responsible for the global monitoring of the child-related Millennium Development Goals. The purpose of this guide is to assist faculty, students, and staff of the University of Chicago find international health statistics. This guide is not meant to be exhaustive but to highlight key resources for locating information on this topic. Grants ; Health Professional Shortage Areas ; National Health Service Corps ; Healthcare Systems ; Health Professions ; Nursing Facilities and more. תיאור מאגרי המידע הממוחשבים בנושאים הקשורים לבריאות בישראל. כולל גם נושאים כמו סטטיסטיקה ויטלית, מינהל שירותי בריאות, כלכלה רפואית ומדדים סביבתיים. This short book aims to provide an ABC of the epidemiological approach, its terminology, and its methods. The Association aims to protect all Americans, their families and their communities from preventable, serious health threats and strives to assure community-based health promotion and disease prevention activities and preventive health services are universally accessible in the United States. APHA represents a broad array of health professionals and others who care about their own health and the health of their communities. APHA builds a collective voice for public health, working to ensure access to health care, protect funding for core public health services and eliminate health disparities, among a myriad of other issues. Through its two flagship publications, the peer-reviewed American Journal of Public Health and the award-winning newspaper The Nation’s Health, along with its e-newsletter Inside Public Health, the Association communicates the latest public health science and practice to members, opinion leaders and the public. The Centers for Disease Control and Prevention TV site (CDC TV) offers up a range of videos created to provide expert commentary and news updates on a variety of health, safety, and preparedness topics. First-time visitors may wish to browse around through the Most Recent videos which include short meditations on "Healthy Snacking in Philadelphia" and "Smoke-free Multiunit Housing." The site also has topical collections that include Parents & Children and Flu. Videos range in length, but most are around 3 minutes long and a number are available in Spanish. For interested parties, the site also has some special multi-part features, including "The Story of Folic Acid Fortification." 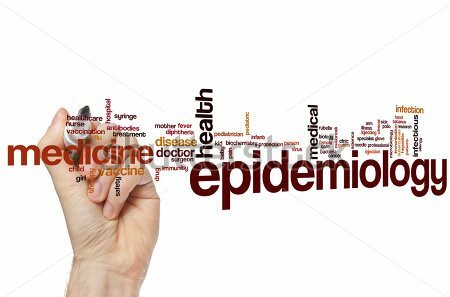 The Association aims to facilitate communication among those engaged in research and teaching in epidemiology throughout the world, and to engage in the development and use of epidemiological methods. Environmental Health Criteria (EHC) documents provide international, critical reviews on the effects of chemicals or combinations of chemicals and physical and biological agents on human health and the environment. NIH is a part of the U.S. Department of Health and Human Services. This site offers information on clinical trials, age and gender-specific health information pages, and health topics A-Z. "...a massive central data source and a handy way to graphically compare nations. NationMaster is a vast compilation of data from such sources as the CIA World Factbook, UN, and OECD. Using the form above, you can generate maps and graphs on all kinds of statistics with ease." Contains stats on many topics including health. The goal of the Public Health Image Library (PHIL) is to offer "an organized, universal electronic gateway to the Center for Disease Control's pictures." The site welcomes public health professionals, laboratory scientists, students and the general public to use this material for reference, teaching, presentation, and public health messages. On its homepage, visitors can use the PHIL Quick Search to look for photos, illustrations, or videos. The Featured PHIL Collections contains thematic sections that deal with influenza, natural disasters, environmental health, and bioterrorism. Photographers and those working in health care and education will also want to look over the What's New In PHIL area to get the latest detailed information. Finally, visitors can also use the Contact Us area to have specific queries answered. מאגר כלל עולמי של הרצאות כתובות בנושאים הקשורים לרפואה ציבורית, אפידמיולוגיה ומניעה בשפות שונות. Supercourse is a global repository of lectures on Public Health and prevention targeting educators across the world. This page is maintained by the Department of Epidemiology and Biostatistics at the University of California San Francisco. אתר ארגון הבריאות העולמי. כולל פרסומים בתחום הבריאות ומידע סטטיסטי לגבי מדינות שונות, כלי להשוואה בין מדינות, מילון מונחים ועוד. לאגודה חזון של איכות קידום החיים על-פי שלושה עקרונות: איכות, שיוויון ויעילות בתחומי הבריאות והרווחה. ​האגף לאפידמיולוגיה אחראי על צמצום התחלואה במחלות זיהומיות בקרב תושבי מדינת ישראל ע"י ניטור מחלות זיהומיות ואחריות על תוכנית החיסונים. כמו כן, תוכלו למצוא מדריכים מומלצים לשמוש במקורות המידע השונים ועוד.